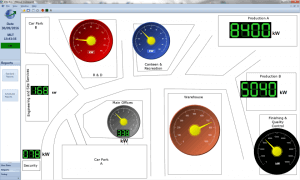 Automatic collection of consumption & demand data from any number of metering points. 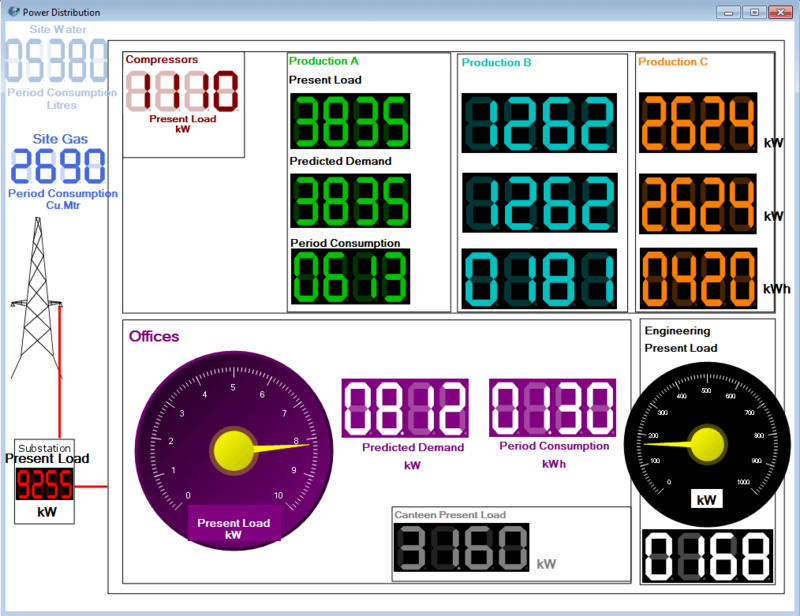 Interactive, flexible live graph & custom dashboard displays. Modular system allows easy upgrade of software capabilities. Consumption, demand & cost/tariff reports available in selectable reporting format (CSV, XLS or PDF). 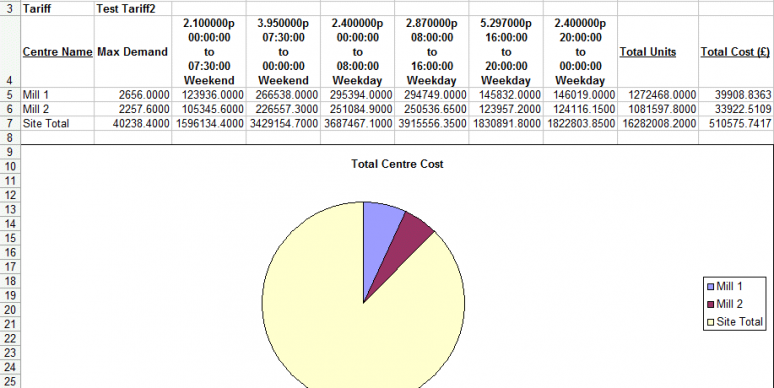 Report Scheduler Module automatically generates and saves reports at preset dates/times. Comprehensive tariff analysis facilities allow bill validation and accurate cost allocation. When used as a component based Automatic Energy Monitoring & Targeting System, the AtlasEVO Energy Management Systems qualify for the Enhanced Capital Allowance Scheme. Help meet your ESOS (Energy Savings Opportunity Scheme), EAS or ISO50001 requirements. 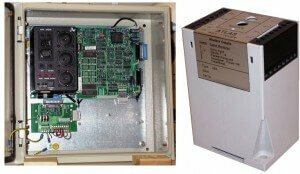 Collect & Store Energy Use data. 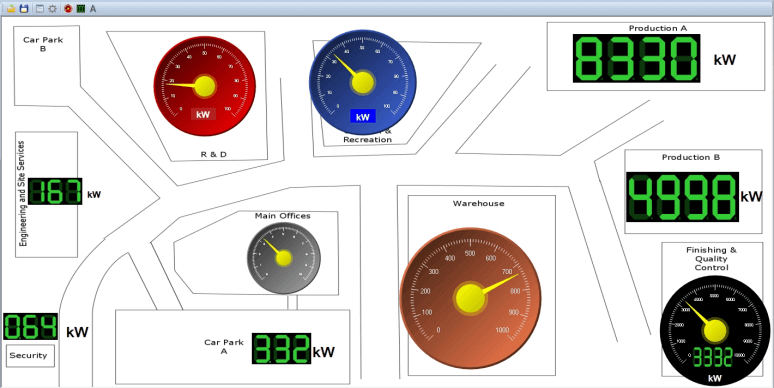 Live energy dashboards show current energy use. 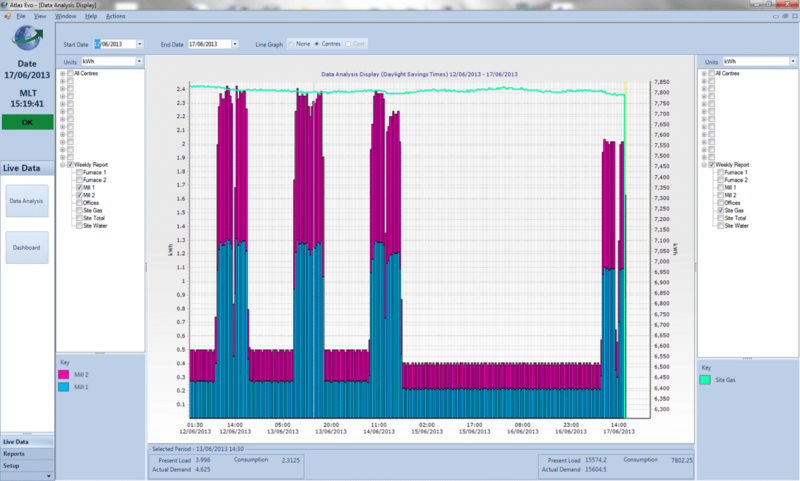 Analyse energy data to identify areas of misuse. 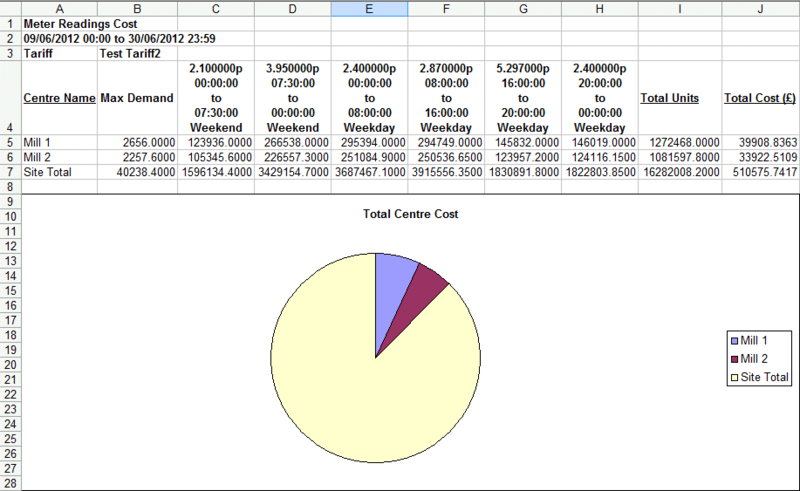 Automated energy report production directly into spreadsheet format. Compare energy use against cost - see where money could be saved. Meters measuring electricity, gas or water use (or any another measurable resource). ATLAS loggers record the usage measured by the meters into 30 or 15 minute periods (with minute logging an option). AtlasEVO Energy Management software retrieves usage data from the logger(s) and provides reporting, graphing and other analysis tools. 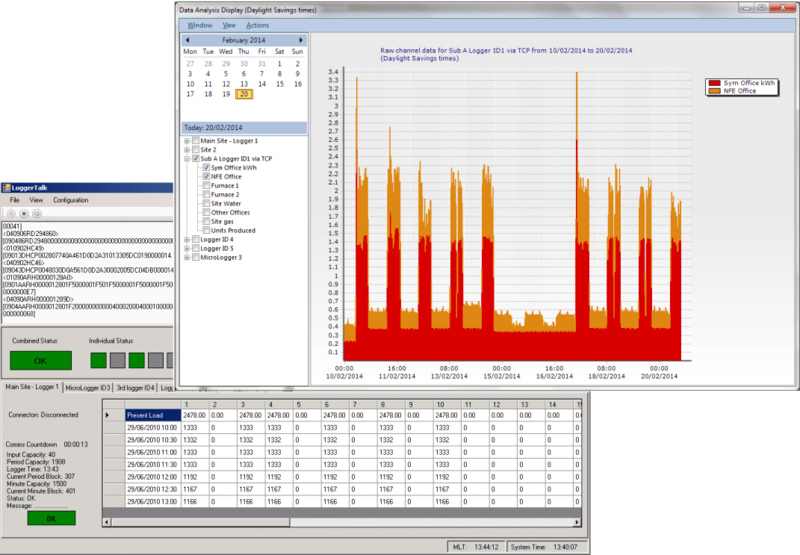 The basis of any Energy Monitoring or Management System is the collection of energy usage data. 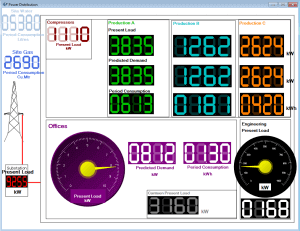 The AtlasEVO Energy Management & Monitoring System utilises any number of ATLAS Loggers & MicroLoggers to collect consumption pulse signals from any type of pulsing resource meter (electricity, gas, water etc). 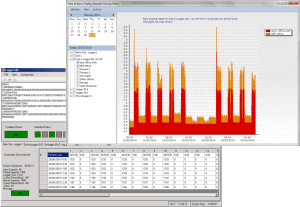 The MicroAtlasEVO ('LoggerTalk') energy management software communicates periodically with each of the loggers in the AtlasEVO System, collecting historic and live period data as required. 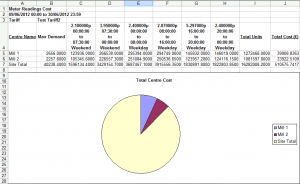 Data is stored in user friendly CSV files by default and is permanently available for analysis directly within spreadsheet programs or via the integrated graphing function. 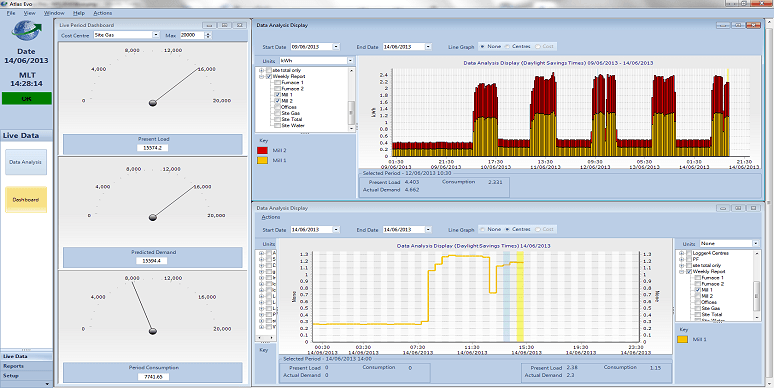 The addition of the full AtlasEVO Energy Management software provides further advanced analysis features. Working in conjunction with but independently of LoggerTalk, further AtlasEVO software modules enhance the energy management system's analysis capabilities. A comprehensive set of consumption, demand & tariff analysis reports are provided allowing reporting in '£s' & 'p' to facilitate bill validation and accurate cost allocation to individual departments or production lines. 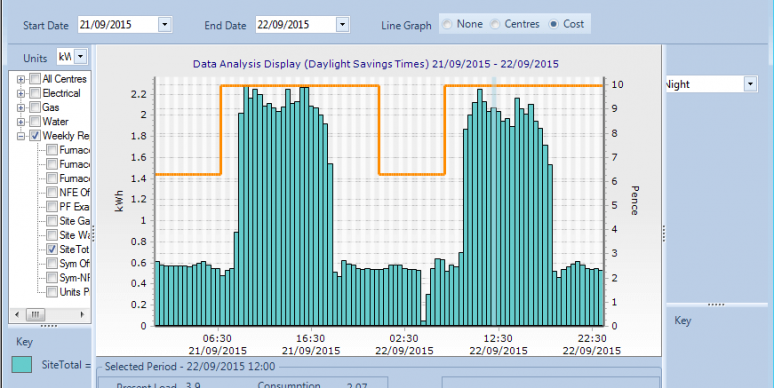 Flexible graphical displays show historic trends and live period data.